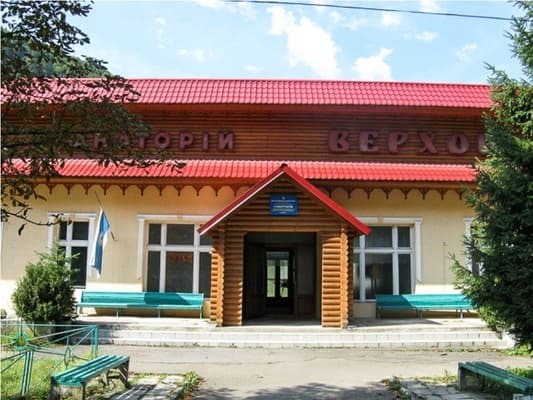 "Verkhovyna" sanatorium is located in the mountainous region of Mezhgorye, at an altitude of 600 m above sea level in the narrow valley of the Rica River, near Lake Synevyr. Located in the zone of balneological resort Soimi. At the disposal of living rooms are Economy, Comfort and Suite with all amenities. On a choice living a complex of medical procedures. 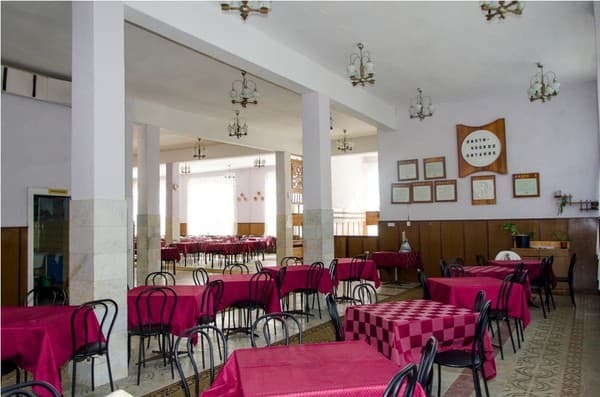 There is a cafe on the territory of the sanatorium. Sanatorium "Verkhovyna" is located 2 kilometers from the regional center of Transcarpathia, village. Mizhhiria. Near the resort there are ski slopes: 2 drag lifts (700m). Distance from the sanatorium "Verkhovyna" to s.Podobovets - 16 km. Description of the room: Two-room suite with a double bed and a sofa. Hot water from 7.00 to 21.00. Earlier or later included at the request of guests. 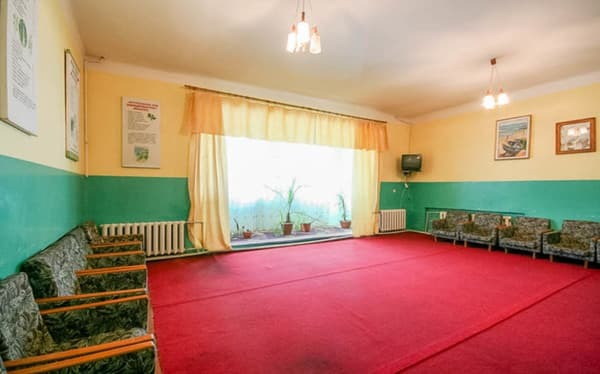 Описание номера: Room with two separate beds. Hot water from 7.00 to 21.00. Earlier or later included at the request of guests. 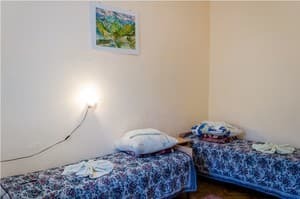 Описание номера: Cozy room with twin beds. Hot water from 7.00 to 21.00. Earlier or later included at the request of guests. 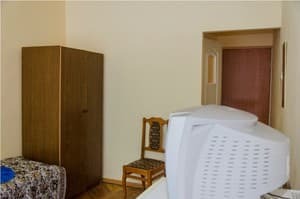 Описание номера: The room is equipped with a double bed and one single bed. Hot water from 7.00 to 21.00. Earlier or later included at the request of guests. There is a cafe on the territory of the sanatorium. 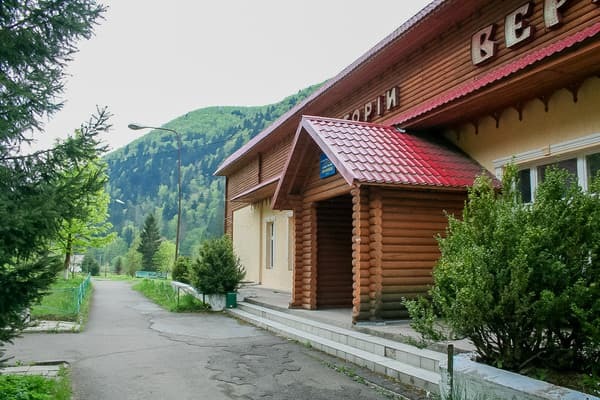 The sanatorium is located in the heart of the Carpathian Mountains - in Verkhovyna, at an altitude of 650 m above sea level, 2 km from the district center of Transcarpathia, village. Mezhgore, in the forest zone, along the mountain river Rica. Through the territory of the sanatorium there is a mountain river, which is called the River. 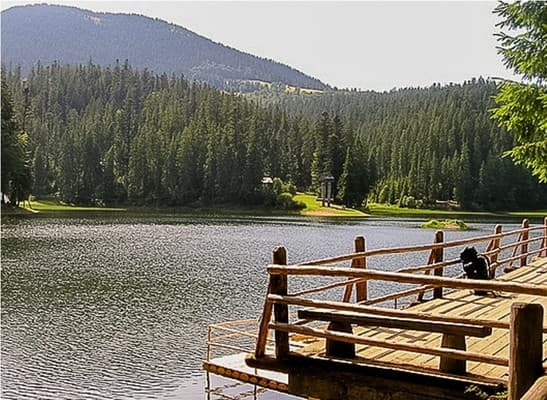 30 km from the sanatorium is the "sea eye" of the Carpathians - Synevir lake, and 27 km - the famous Whisper waterfall. Near the resort there are ski slopes: 2 drag lifts (700m). The distance from the sanatorium "Verkhovyna" is 16 km to the village of Podobovets. Climatotherapy: walks on the territory of the sanatorium, aerotherapy. Physiotherapy (kinesitherapy): morning hygienic gymnastics, venue - park, gym, health path, therapeutic gymnastics, near tourism. Balneotherapy: general iklekislye baths. Internal use of medicinal mineral waters: imported mineral water: Kelechin, own mineral water, drinking pump room. Hydrotherapy (hydropathy): underwater shower-massage, microclysters with therapeutic agents, hydrocolonotherapy, hydrolaser shower. Peloid and heat therapy: paraffin applications. The total number of baths: 9, the amount of mud couches: 8.Lear massage: manual massage (general and separate body parts): classical. Other therapies: Electro-light therapy and other types of apparatus (artificial) physiotherapy: galvanization and electrophoresis, ultrasound therapy and phonophoresis, low-frequency magnetotherapy, high-frequency magnetotherapy (inductothermy), decimeter wave therapy, ultrahigh-frequency therapy (EHF), short-wave ultraviolet irradiation, laser therapy, darsonvalization, ultrahighly high astotnaya therapy (UHF), diadynamic, amplipulse, electrical, damp inhalations, aeroionotherapy. Phytotherapy, medicamental therapy, aromatherapy. By car - along the road Kiev-Lviv-Chop, after the village of Nizhnie Vorota turn to Volovets, in the village of Volovets on the ring turn left towards Mezhgorye, then go to the village. The Sojm. The sanatorium "Verkhovyna" will be located to the right of the road. By train - to the station. Volovets, and then by shuttle buses that follow in Mezhgorye or through Mezhgorye. 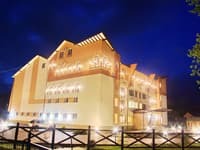 Each guest can book a transfer from Mezhgorye to the hotel in the reservation department.